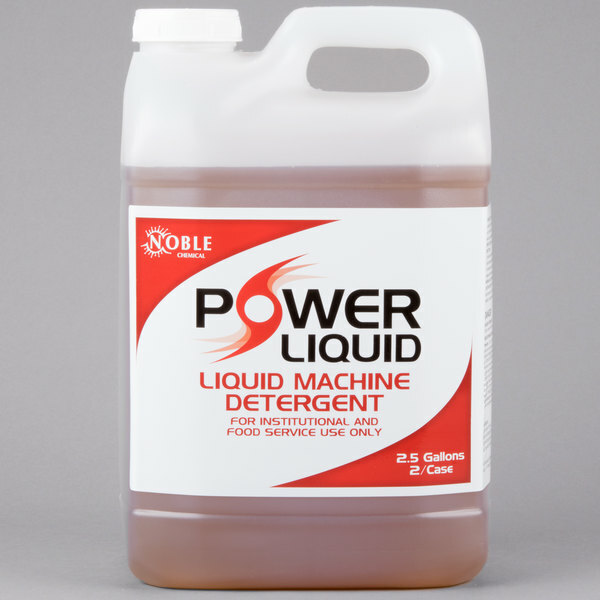 For the best in ware-washing detergent, choose this Noble Chemical Power Liquid dish washing machine detergent. Designed to get your dishes sparkling clean in both low and high temperature dish washers, this dish washing machine detergent excels at removing light to medium grease and food stains. Get the best out of your dishware, silverware, and glassware while keeping the back end of your business running smoothly with this powerful dish washing machine detergent.